Thankfully for my wallet, I did not go as crazy in the vendor room as I easily could have during Wilde Weekend. 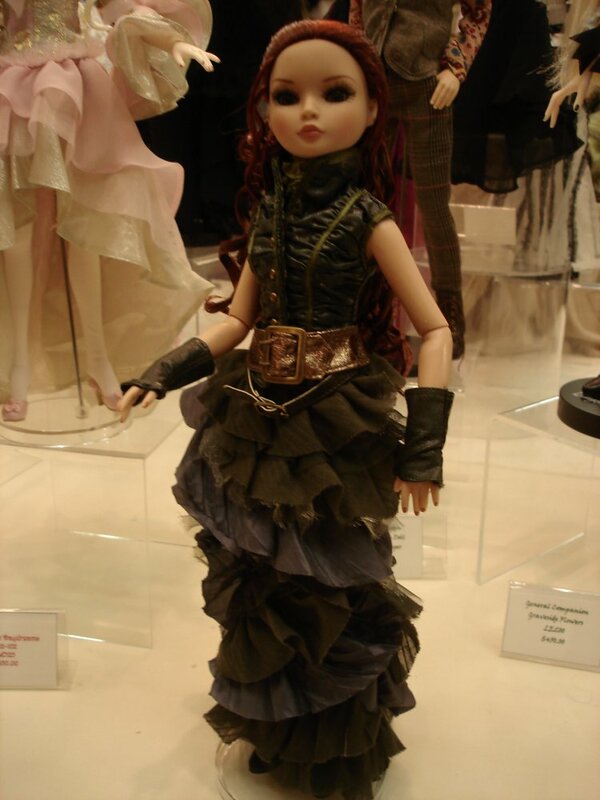 But I did manage to pick up a couple of outfits for my dollies to fight over. Amber wearing the outfit which came in our registration bags. Without the vest, in the purple T-shirt also found in our bags. 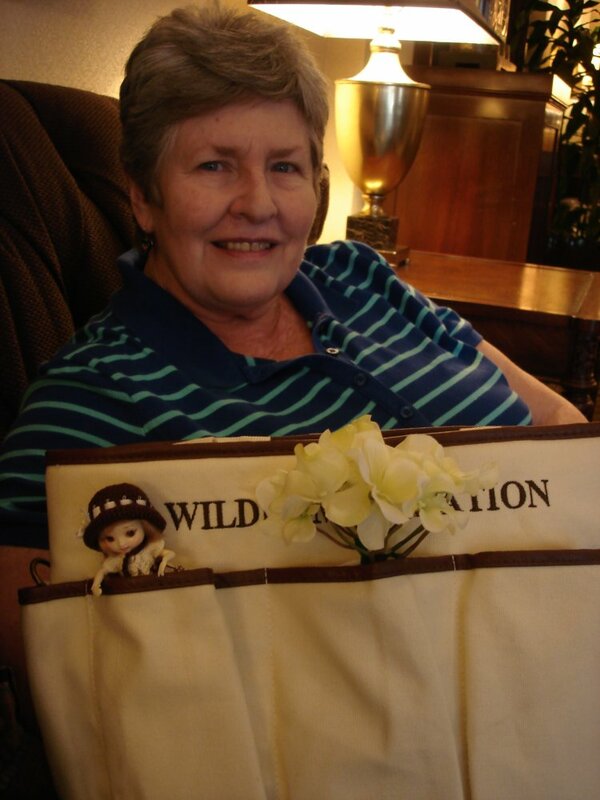 At first, both my mom’s bag and mine had the Wild Thing Black Vest. Fortunately we met up with another couple who had two Distress Call Black Jeans, so we traded. Viola! A complete outfit each! 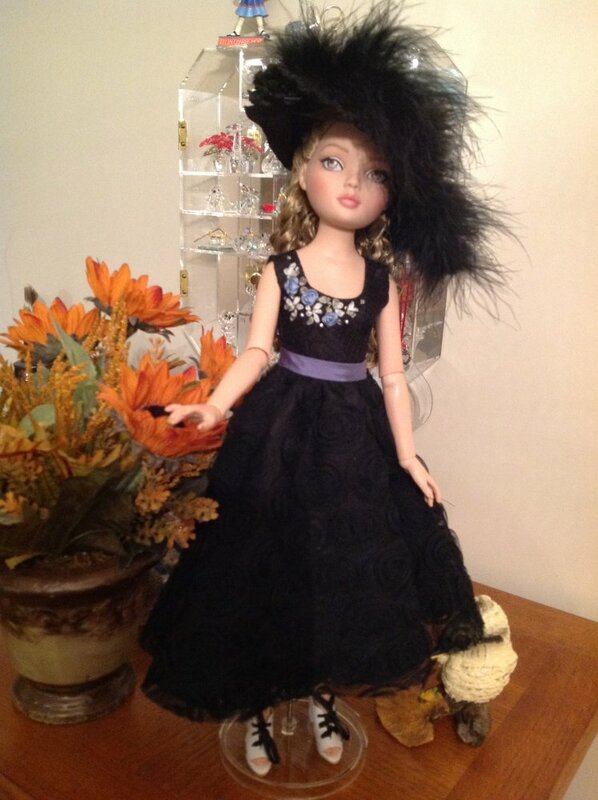 A beautiful black dress with appliqued flowers and the Weeping Roses hat from the Evangeline luncheon. It’s a little hard to tell from the photo, but the skirt of this dress is covered in black flowers. It’s one of my prettiest dresses. And I don’t think poor Evangeline will ever get to wear her hat! 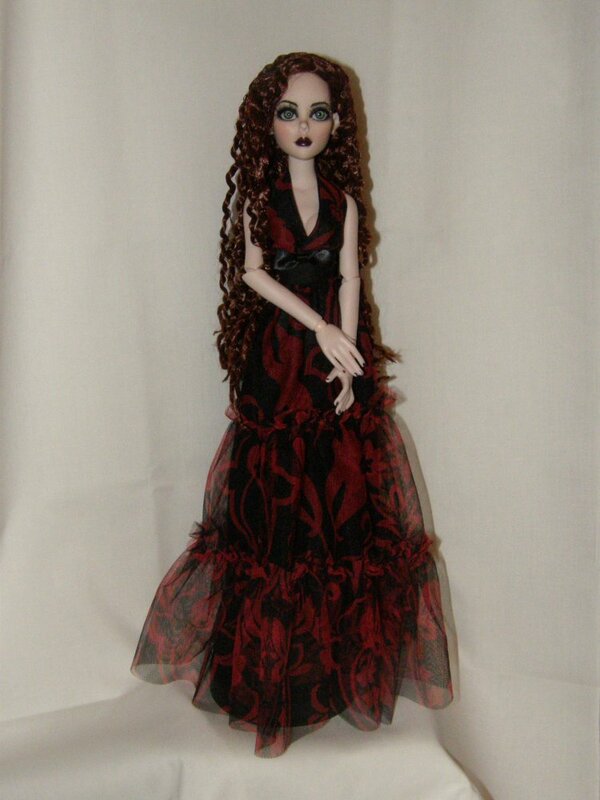 A flowing red and black number for Evangeline. I can’t wait to try this dress with different wigs! 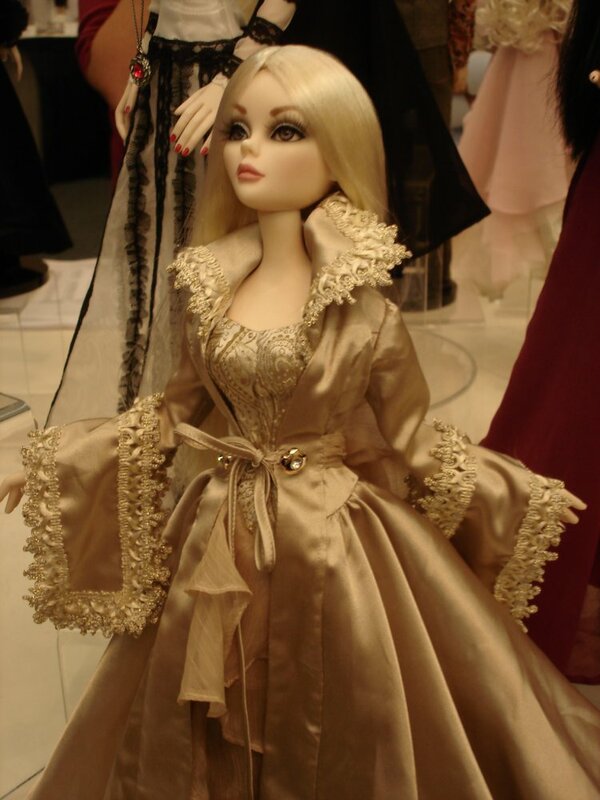 I bought the dresses from the same dressmaker, but I’ve lost her card! I’ll try to find it so I can give proper credit to the person who made these lovely outfits, because they really are to die for! Besides, I had to go to bed because I had to wake up super, super early for the raffle Sunday morning, which was held at 7:30 a.m. (6:30 central time OMG!). I had put a couple of tickets in for different items and ended up putting the bulk of my tickets into one of my grail Evangelines, A Dark Night. So while Mom (and Amelia) slept in, I dragged myself out of bed for the raffle. I really wasn’t expecting to win anything. I mean, there were an awful lot of people in the ballroom for the drawing! And as I expected, I didn’t win A Dark Night. However, had I been listening to the universe when I decided to watch “Stardust” on TV the day before, I may not have been as surprised and excited when they called my number for the Star Dust Evangeline! She’s now my lucky Star (Dust)! Mom was so excited for me when I returned to the room to pick her up for the Amelia Thimble breakfast. Me? I was over the moon! We headed downstairs for the last event. 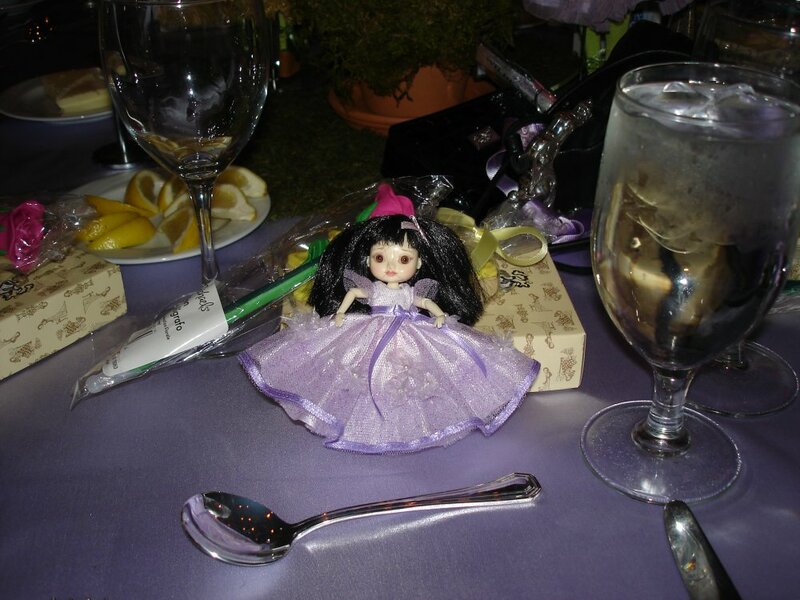 The centerpiece was so unbelievably cute I’m surprised I didn’t come away with a toothache. It featured Amelia as a bee, Izzy as a butterfly and Hamish as a little gardener standing on a flower base. Mom fell in love, because her hobby is gardening. So when she won the centerpiece, of course we snatched it up! Amelia is excited because she has three new friends to play with! Our table gift was a gardening apron, which Mom also confiscated. Hee! 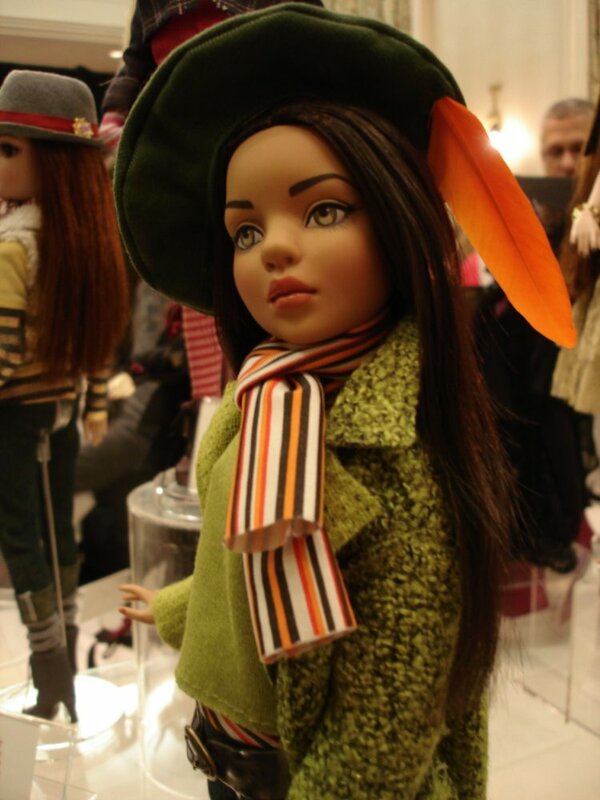 We also received an issue of Fashion Doll Quarterly which featured the convention Ellowyne and Amber on the cover. I may need a subscription to this magazine! Breakfast consisted of a buffet which was delish, but I was a little sad, as this event brought the weekend to a close. I had so much fun during Wilde Weekend! 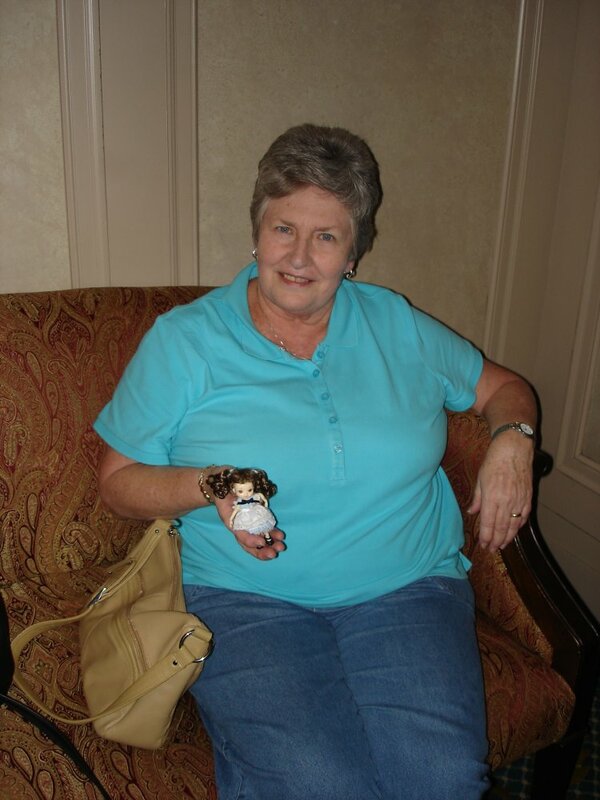 Even my mom had a lot of fun, more than she thought she would, as she was not a collector. I say was because she’s laid claim to the Amelia centerpiece for her indoor garden. 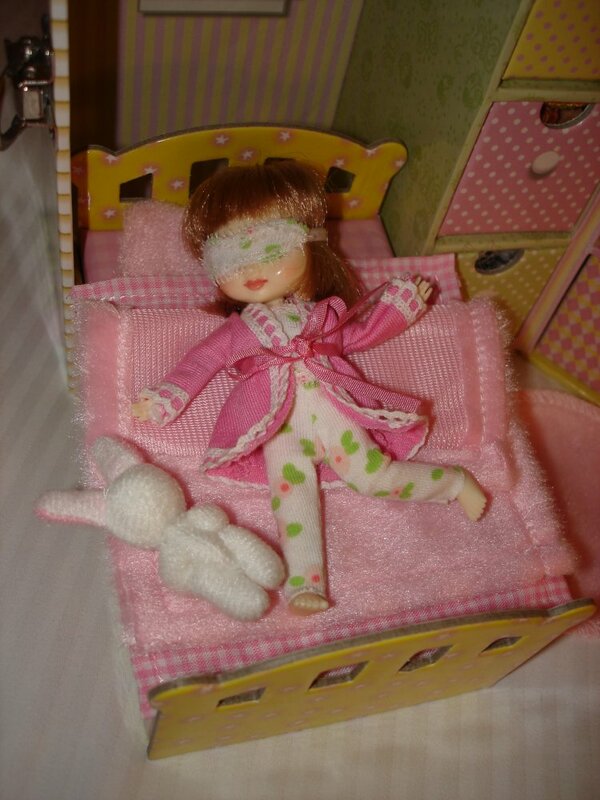 I may have turned her into a doll convention monster. I know I have definitely been bitten by the convention bug. Sunday night we ate at the Hard Rock Louisville, just so I could get one more Hard Rock under my belt. Went to bed early to get ready for the long drive back to Tennessee in the morning. I would like to thank the hotel staff at the Seelbach for being super-friendly and helpful; the staff of Wilde Imagination and Tonner for throwing an amazing weekend and again for being super-super-friendly; and everyone I met who helped this wallflower come out of her shell just a little bit and being patient with someone who was obviously a newbie. I did not want the weekend to end, but all good things must. Where on earth am I going to put all this?!? I came home exhausted, but happy. I can’t wait to attend the next convention and see some of the new friends we made. Until next time! Exhausted after a fun Wilde Weekend! Saturday started out super early for me. I wanted to hit the WI/Tonner sales room, which opened at 8 (7 central time!) before heading up to my jewelry workshop. The sales room was CRAZY. So many people in one little room. 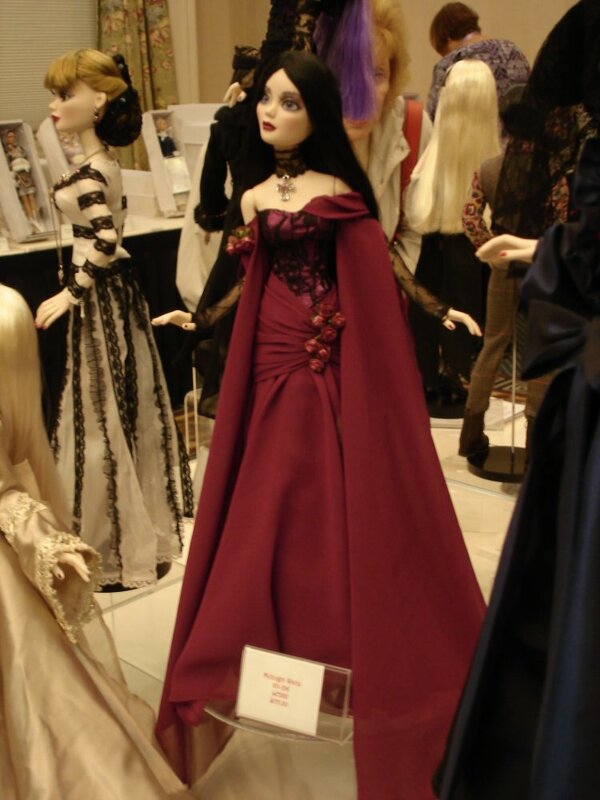 But I understood why as soon as I saw the display of dolls set up to give us a glimpse at the fall line of dolls. Graveside Flowers Evangeline (resin) with Ellowyne companion doll Rufus in the background. At left, Woefully Rich Lizette. At right, Bright-Eyed Amber. And in back, Gilded Gloom Ellowyne. Evening Rose Capelet and other accessories. Gothic Nightmares outfit. My new Parnilla may need this. Evenings in Ipswich. I preordered this one too. I thought she was the most elegant of all the new Evangelines. 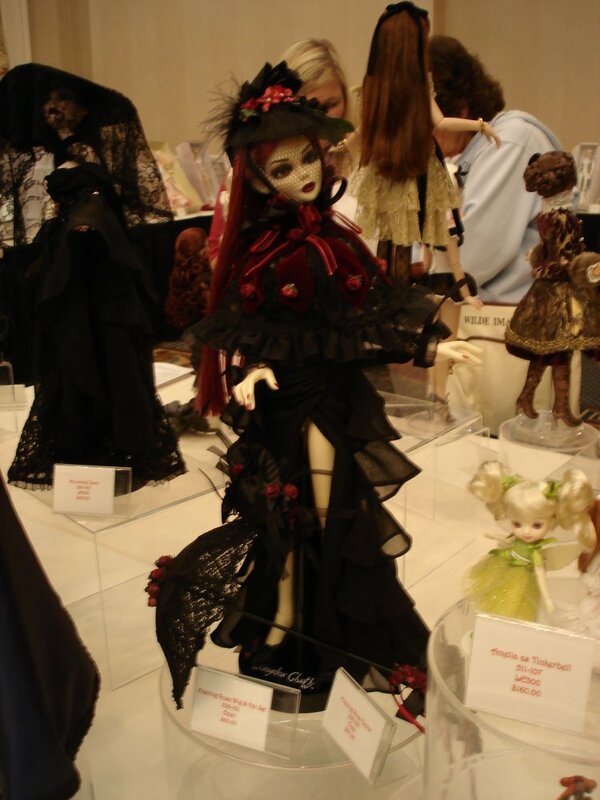 There was another resin Evangeline as well, Evening Orchid, which I did not get a photo of, but she was really pretty. I had just enough time to purchase a basic Parnilla before my jewelry workshop began. The workshop was really interesting, if rather frustrating. Frustrating only because we were working with tiny beads and thin wire and my big fingers were clumsy. We learned how to make a twisted bead necklace with matching earrings and I think my attempt came out OK for a first try. I will definitely have to try it again and get some more practice. Elise, finally free of the suitcase!, modeling my necklace. As I was working on twisting the beads into place, a gentleman came up behind me and commented on Elise’s dress. He said he loved it and asked if I had made it. I barely looked up when I answered I hadn’t, that I couldn’t sew. He told me that I seemed to be doing well with the necklace. 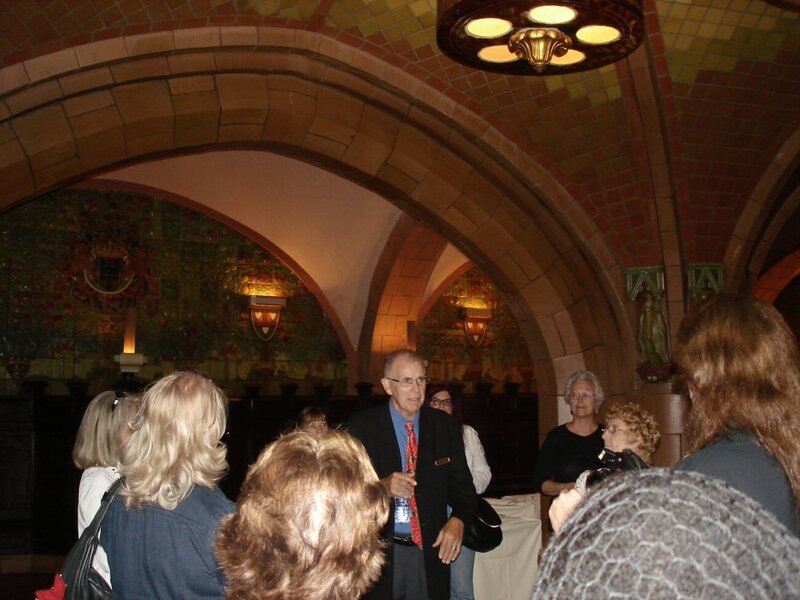 This time I looked up to thank him and saw that it was ROBERT TONNER speaking to me. Holy crap! I about died. All I could do was mumble a thank you as I was too busy internalizing my fan-girling. I talked to Mr. Tonner! It was one of the highlights of my weekend. After the workshop, I went back upstairs to the room where Mom was spending a relaxing morning, not having to get up early. We got ready for the Evangeline luncheon, Amelia in tow (she’d slept in as well), and headed downstairs. Amelia cuddles up to the centerpiece Evangeline. The centerpiece was AMAZING. I was really, really hoping we’d win it, but alas, it was not to be. But we couldn’t win everything, right? Lunch consisted of a yummy spinach and cranberry salad, chicken and pasta, and the most delicious chocolate and pecan tartlet I’ve ever tasted. The table gift was a beautiful floral hat for Evangeline. I can’t wait to find an outfit to pair it with. 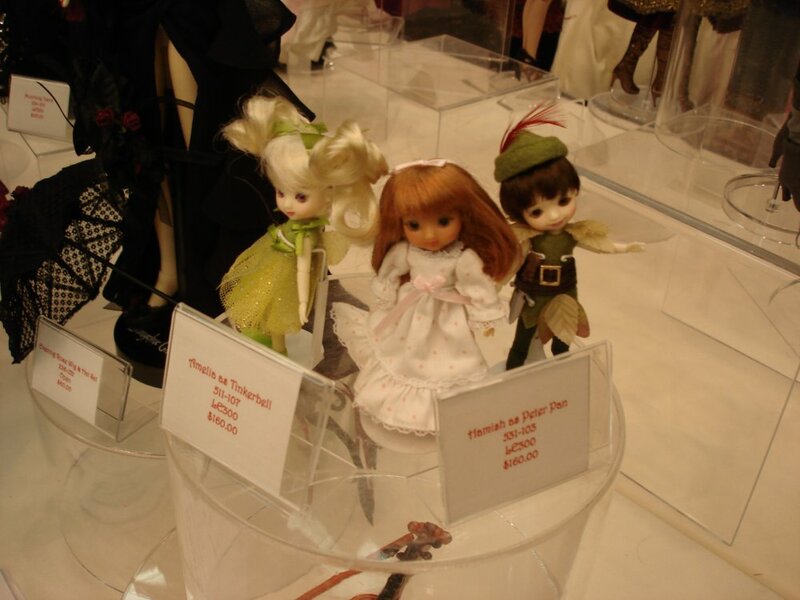 Mom and I spent the afternoon wandering the vendors’ room and the WI sales room; we toured the competition room to see all the amazing dolls that had been entered into competition; and I went into the raffle room to put in my raffle tickets into the bags next to dolls I wouldn’t mind winning. I ended up just putting a few tickets in here and there and the bulk of them into A Dark Night Evangeline. We still had time to kill before dinner, so we spent the rest of the afternoon watching the movie “Stardust” on TV. Little did I know the universe was trying to tell me something… but that’s a story for tomorrow. The Ellowyne banquet was the one everyone had been waiting for. Our table gift was a basket of pink flowers and pruning shears for Ellowyne to hold. The centerpiece was incredible. It featured Amber as an Iris, Prudence as a Buttercup and Lizette as Ivy. Dinner consisted of possibly the best tomato soup I’ve ever eaten, a lettuce and feta cheese salad, and beef medallions and chicken fillet with mashed potatoes and asparagus. Wine was also served, which both Mom and I declined, but Amelia apparently snuck a sip and spent the evening slumped on the table. Who knew Amelia was a lush? After dinner, the wait was over and we finally got to open our souvenir doll, Ellowyne as a Rose. I felt it was fitting, as Rose is my birth flower. Mom and I both received one. We didn’t win the centerpiece, but it didn’t matter. I loved the Rose and she will forever hold a special place in my collection. Day 2 of our dolly adventure began bright and early as we got ready for the group tour of the Princess Diana exhibit at the Frasier Museum. We met up with the group in the hotel lobby when Amelia got promptly snatched up my WI’s Michelle for a picture which became a hit on Facebook. This, of course, went straight to Amelia’s head. 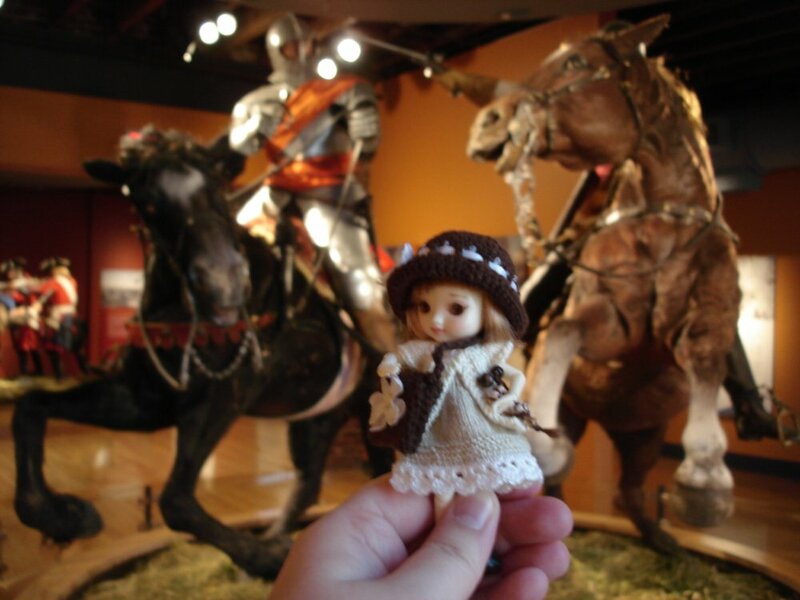 Downtown Louisville is chock full of museums and other points of interest. 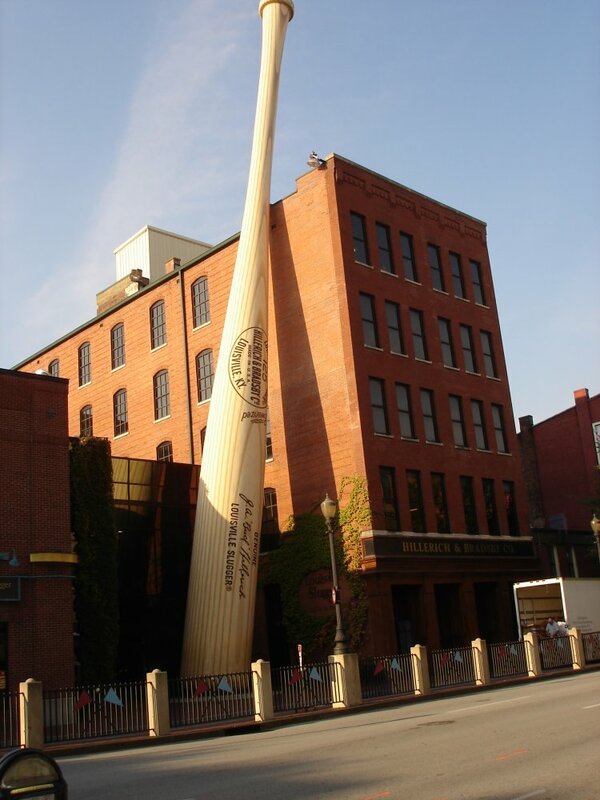 Such as this giant baseball bat. The Diana exhibit was amazing. Words cannot describe the breathtaking awe that we felt walking around the corner and seeing Princess Diana’s wedding dress in all its poofy glory standing in front of me. Sadly, we were not allowed to take photos inside the exhibit. But we were able to take some in the rest of the museum. Mom and I, being such big Diana fans, lost the group in the museum, so we walked back to the hotel, stopping for lunch at Panera Bread first. By that time we were both exhausted and the convention hadn’t even started yet! We made it back to the hotel in time for registration where we received a lovely gift bag with some wonderful goodies inside. I got a vest and a pair of pants for Ellowyne, one in each convention bag, along with some other lovely things. Perfect spot for Amelia to hang out. Mom and I found a quiet spot on the Mezzanine level to go through the bags and ended up playing tour guide to quite a few con-goers who didn’t know where registration was being held. Yay for being able to help! After registration, we had time to kill before the first event, so we just went back up to the room where I ended up taking a nap, Amelia conked out next to me. The first event was the opening ceremonies, with the Imperium Park line featured. Our tablemates and table hostess were very helpful in explaining things to us newbies and I am very grateful we were assigned to their table. The centerpiece of the event featured Phineas and Theadora in matching black and white outfits. The table gift was a matching set of Victorian style underwear which I adore. 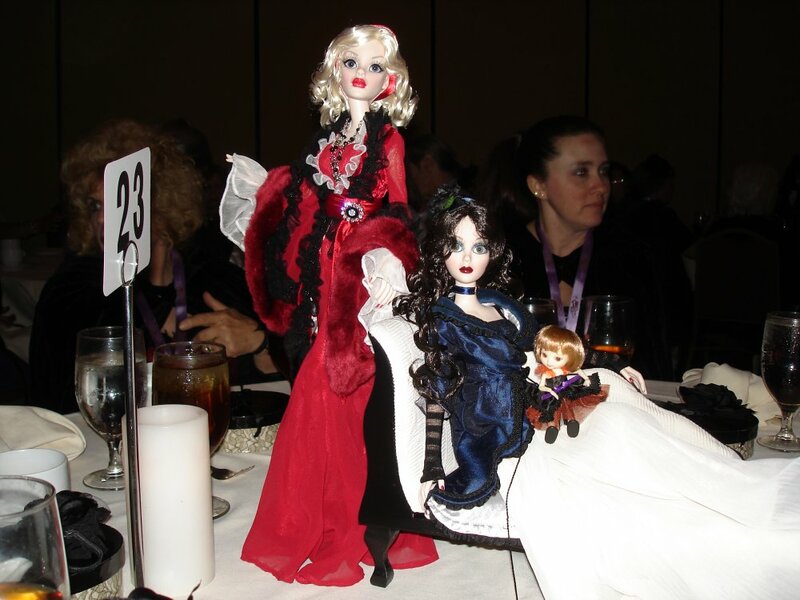 I met up with a couple of Twitter friends from the Tuesday night #dollchat crowd. Making new friends all over the place! 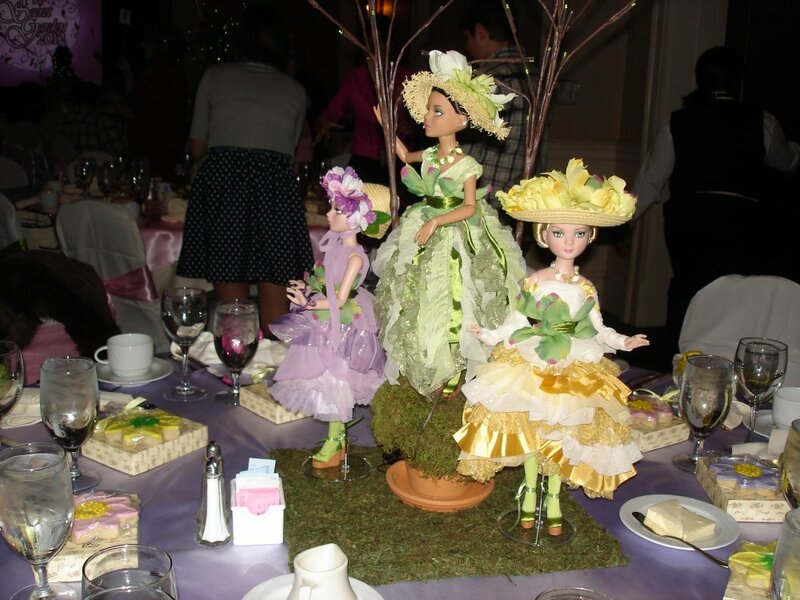 Door prizes were given away and the table centerpiece was won by Mom who bought them for me. I couldn’t believe it! 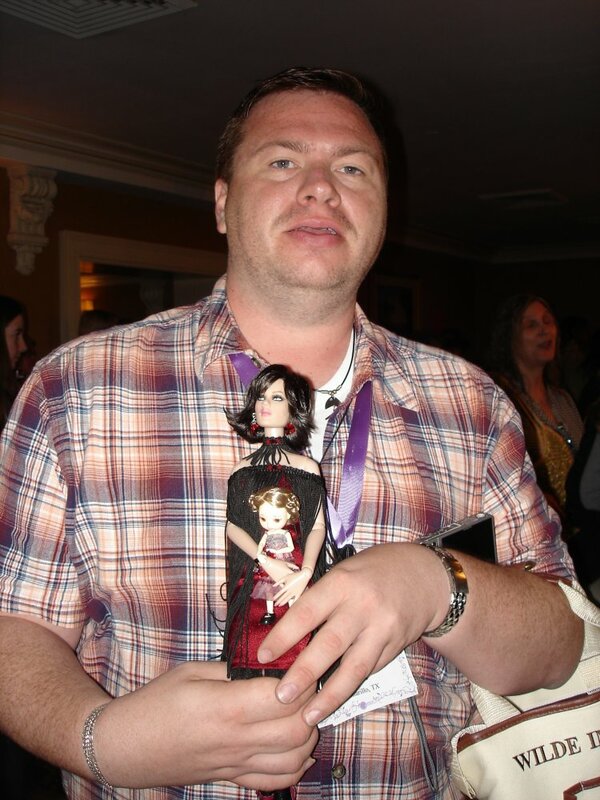 I loved the two dolls and am so happy to have them! I think Amelia is happy as well. Maybe a little *too* happy. 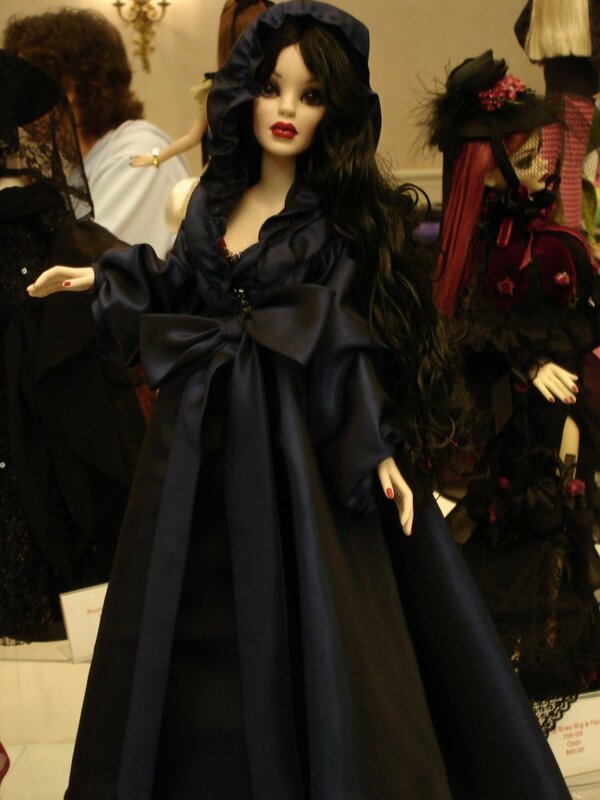 After the presentation was over, we hit the vendor room where I bought a new dress for the Ellowynes. But it was quite crowded and it had been a long day, so we headed back up to our room on the 5th floor and went to bed, eagerly awaiting what the next day would bring. 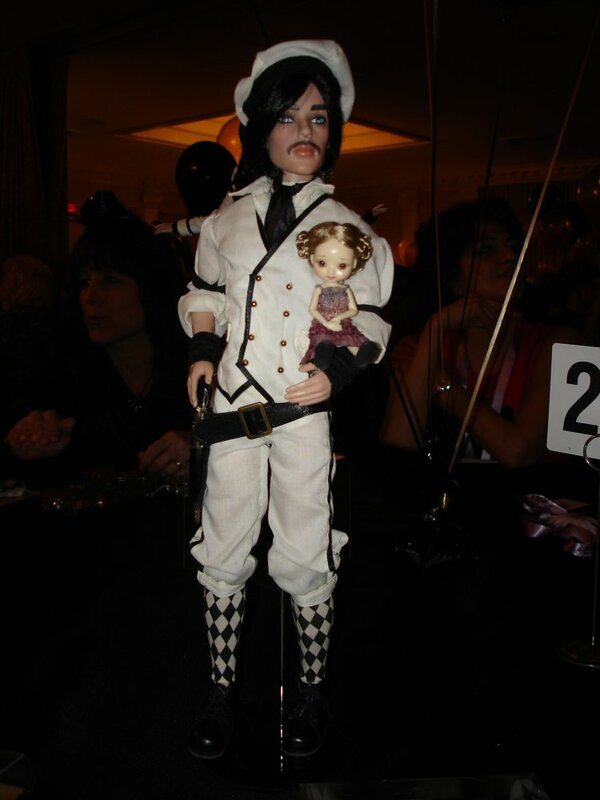 This past weekend, Oct. 5-7, 2012, Wilde Imagination and Tonner Dolls held the very first Wilde Weekend, an event for fans of the Wilde Imagination doll lines to come together and celebrate our crazy obsession. 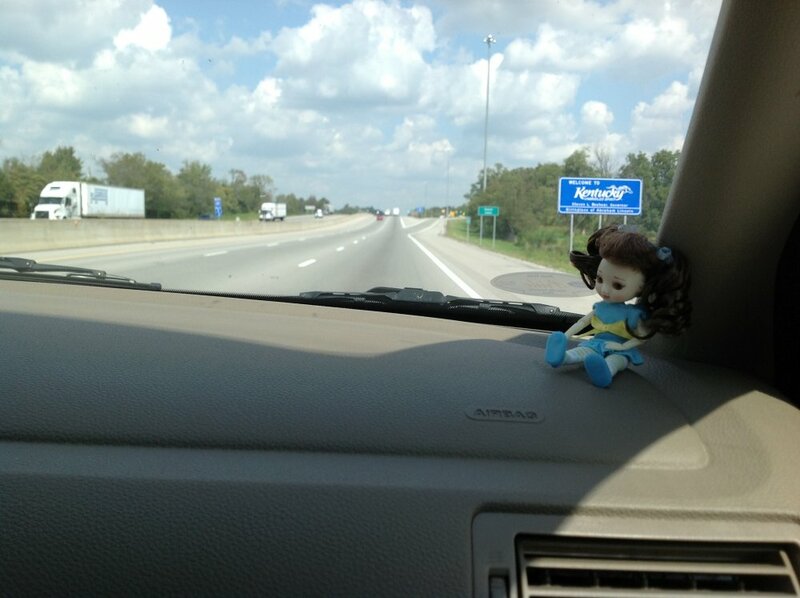 When the dolls heard I would be going, naturally, they all wanted to go too, but I didn’t have room to bring them all. 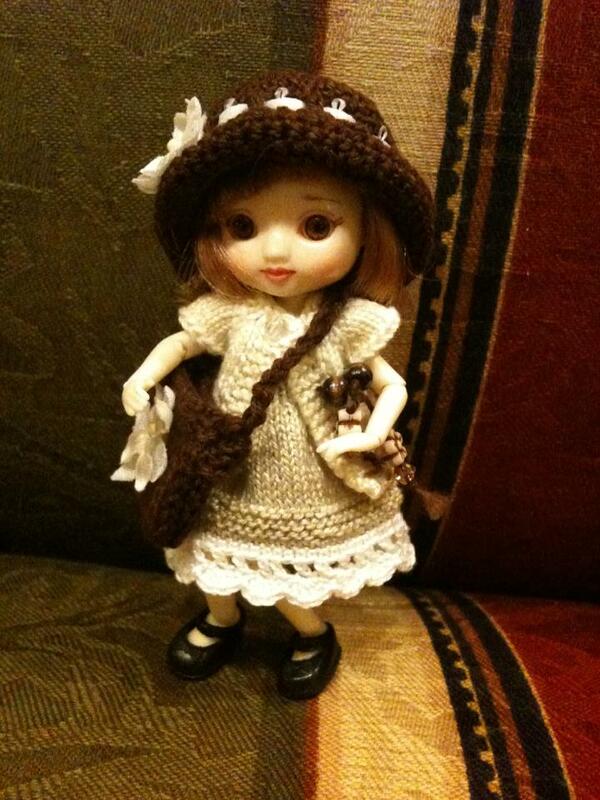 So I chose Amelia Thimble and Elise (Mistakenly Sad), because I needed an Ellowyne-sized doll for the jewelry workshop. 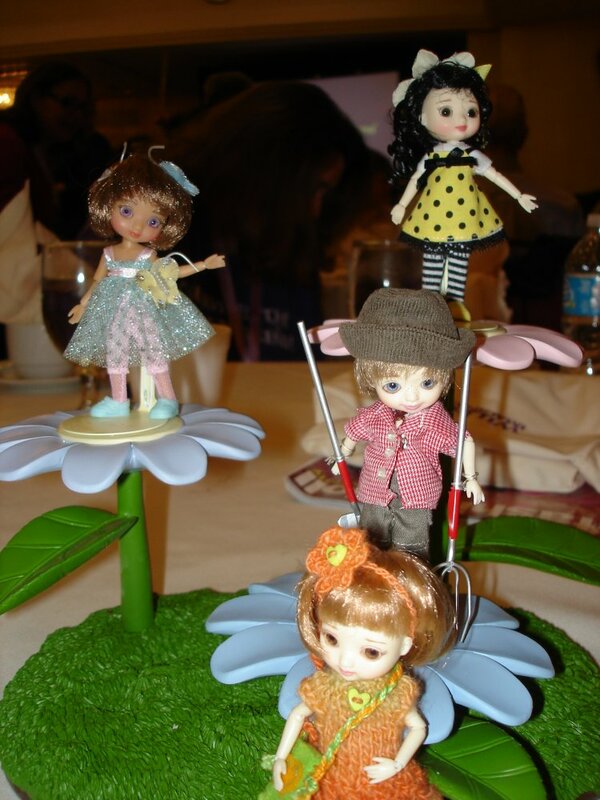 The other dolls grumbled, but were pacified when I told them I’d probably be bringing back new friends and outfits. The mention of outfits perked several of them right up. 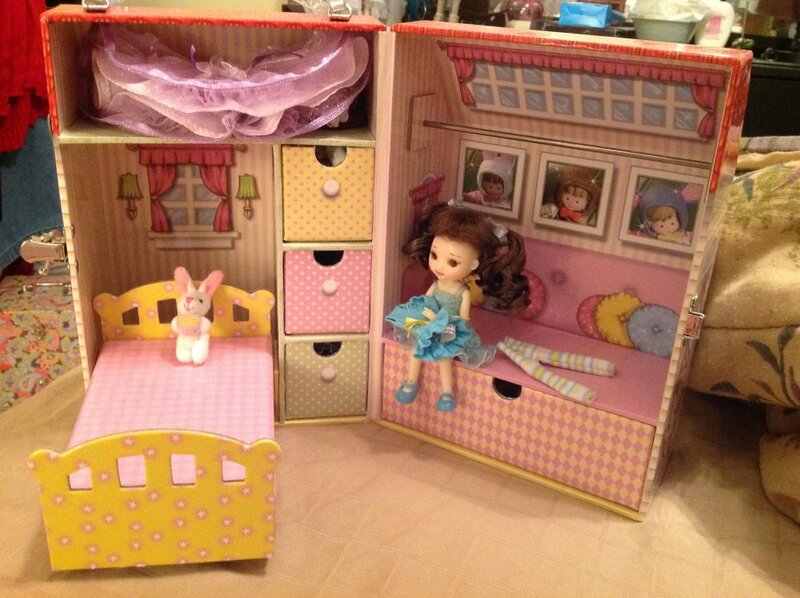 Amelia insisted on going to all the events, so she packed up her little house (several times) with all the different outfits she’d be wearing. That’s it. No more “Community” marathons for Amelia. 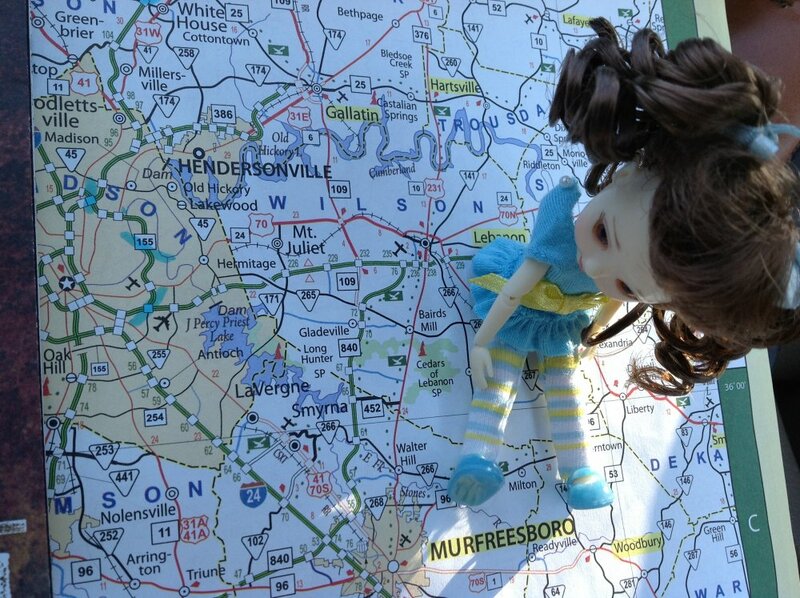 “Drive to Nashville and turn right.” Gee, that’s so helpful, Amelia. 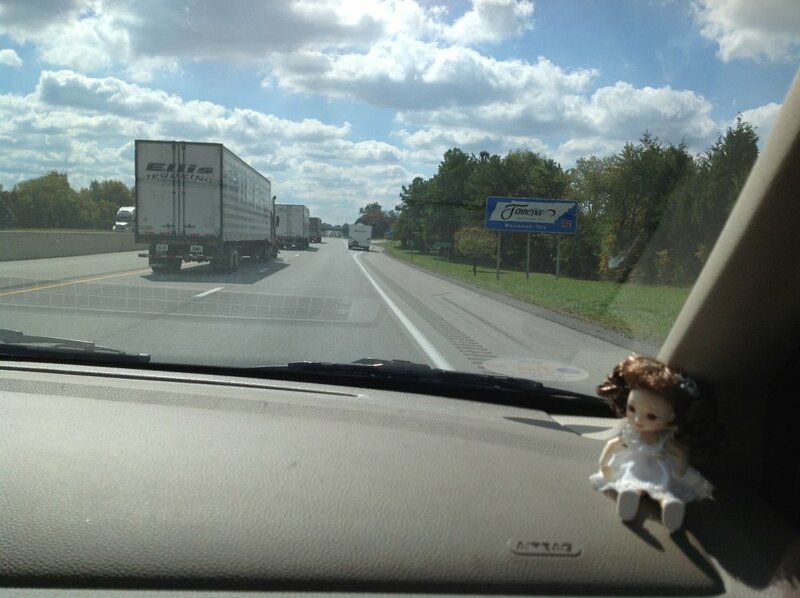 Can’t believe we made it to Kentucky without getting lost once. It was a shock to learn that Louisville was on Eastern time, as we live southeast of there and are on central time. That just made the early events extra early. And I am so not a morning person. 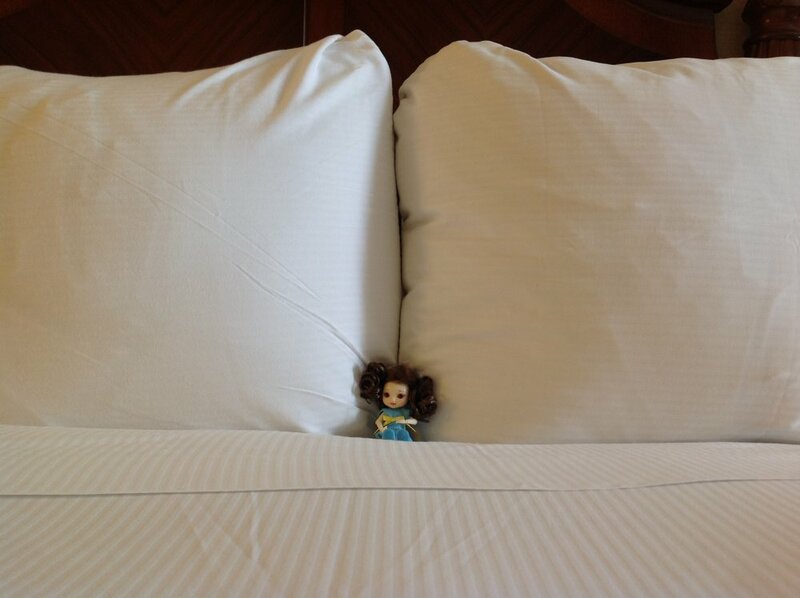 We arrived at the hotel without any trouble and quickly got settled into our rooms. “I think I’ll sleep right here.” Yeah, I don’t think so, Amelia. After a bite of supper, the three of us (Elise was still in the suitcase and not happy about it) headed out for the hotel tour…. 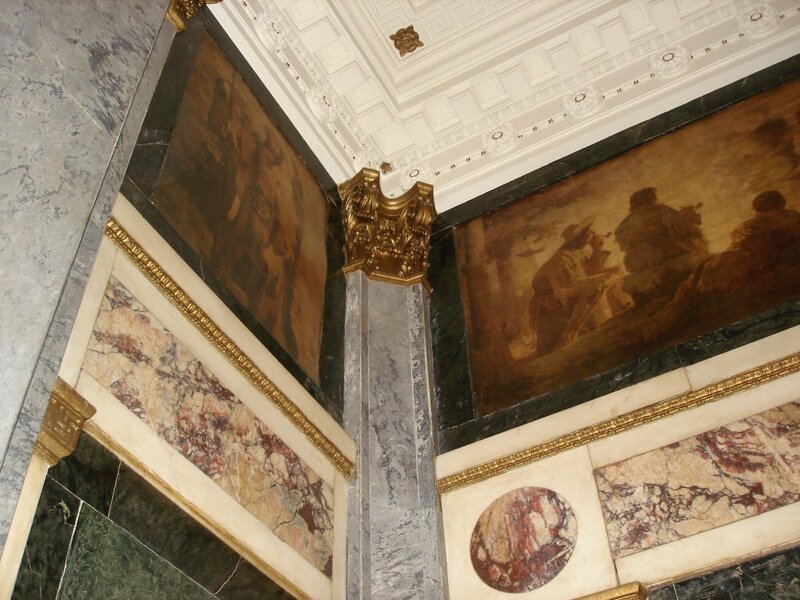 The murals in the hotel lobby. 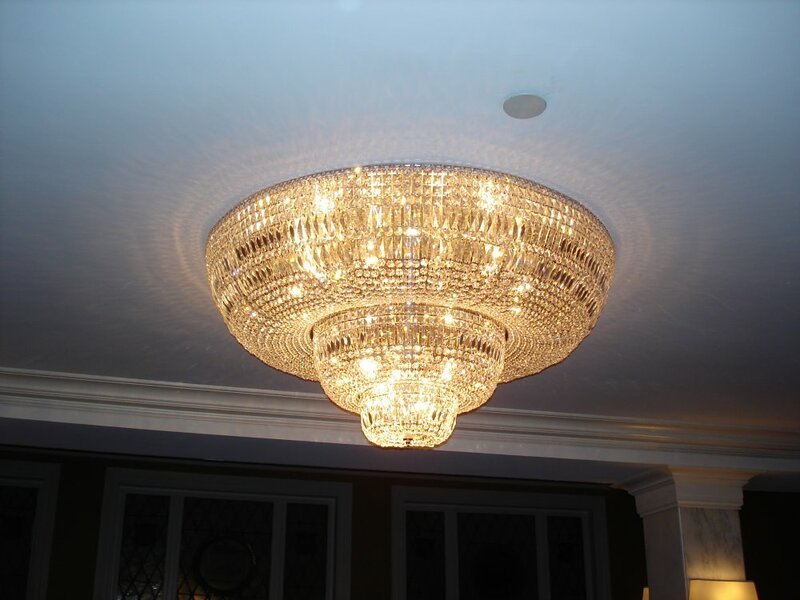 Chandelier outside the grand ballroom. Our tour guide for the evening. 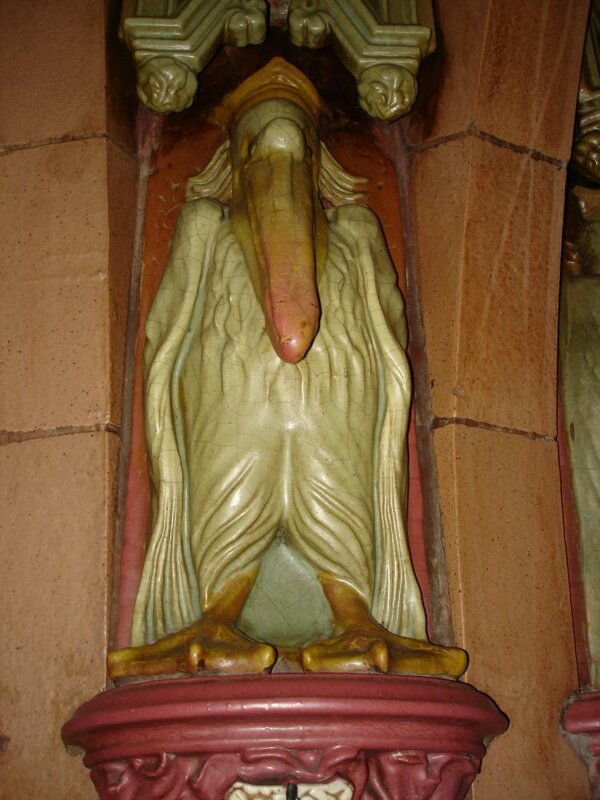 You could tell he really loved his job and the hotel. 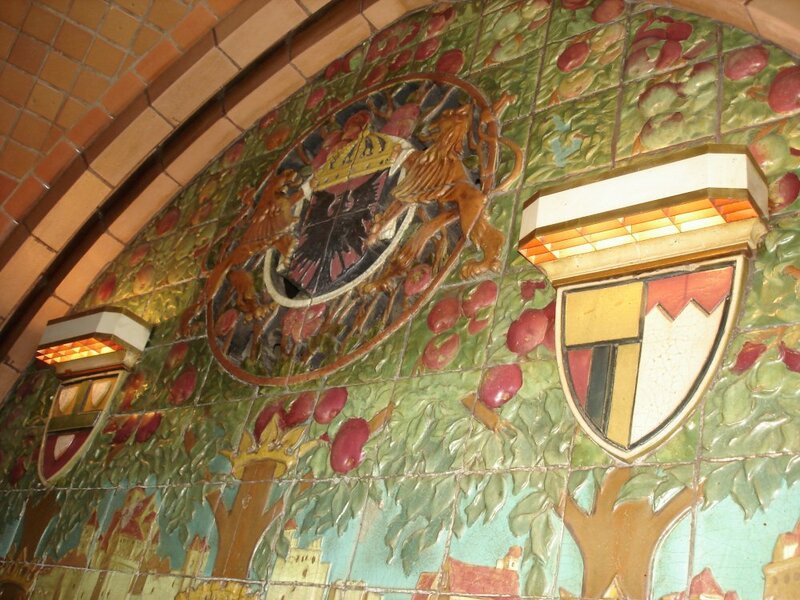 In the basement is the Rathskeller, decorated completely with rare Rookwood Pottery. 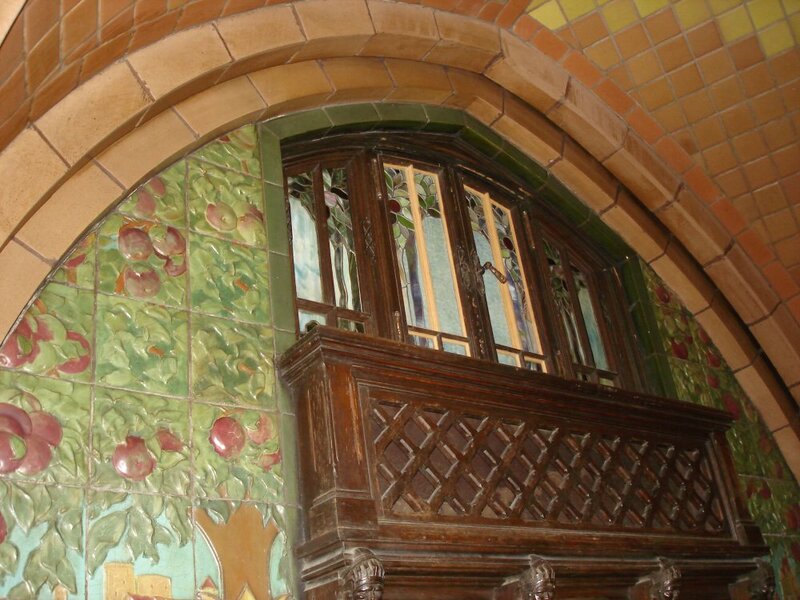 Rookwood pottery Romeo and Juliet balcony. Mom and Amelia rest their feet after the tour. The Seelbach is supposedly haunted by the Lady in Blue, but sadly, we did not see her during our stay. The three of us (with Elise STILL in the suitcase) went to bed early, as we knew we would have to get up early the next morning.